These two gents might have the most “Entertaining” style in sports. 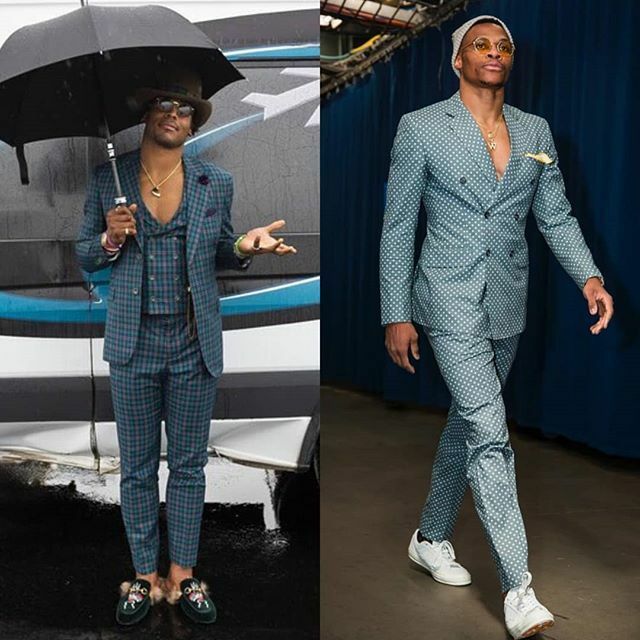 Cam Newton (Carolina Panthers,) and Russell Westbrook (OKC Thunder) both opted for similar looks this week. The fashion aficionados went for a flamboyant “No Shirt” suit look, that displayed their muscular pecs complemented with bold print bespoke threads.